In their secondary education, students in the Netherlands follow different courses of vocational training such as Hair and Beauty. The thought behind this is to prepare the studentes as good as possible in the choice they have to make soon; choose their future profession! 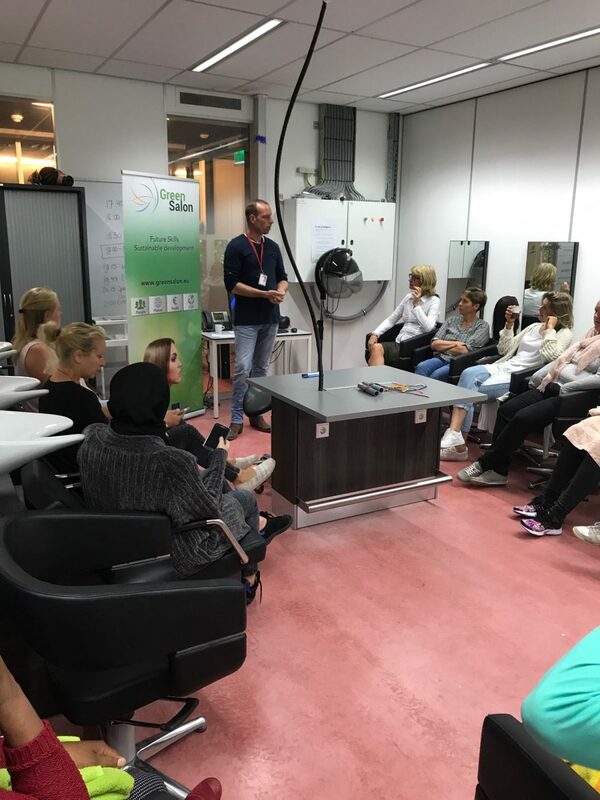 To ensure the lesson that are given in the secondary schools are rooted in the reality of vocational education, 24 teachers of secondary schools followed a two-day training at the ROC of Amsterdam. In this training a part of the curriculum was trained and of course, the Green Salon project was part of the training! The training was judged as very good by the participants and will now be repeated before the end of the year with a fresh group of teachers!